Faced with two bushes full of lovely green tomatoes and shortening days, we’ve used our usual strategy of using up a glut of green tomatoes – making chutney, and picking some to ripen inside. Ripening inside is ok, but sometimes they aren’t quite as tasty and seem to be a bit watery. 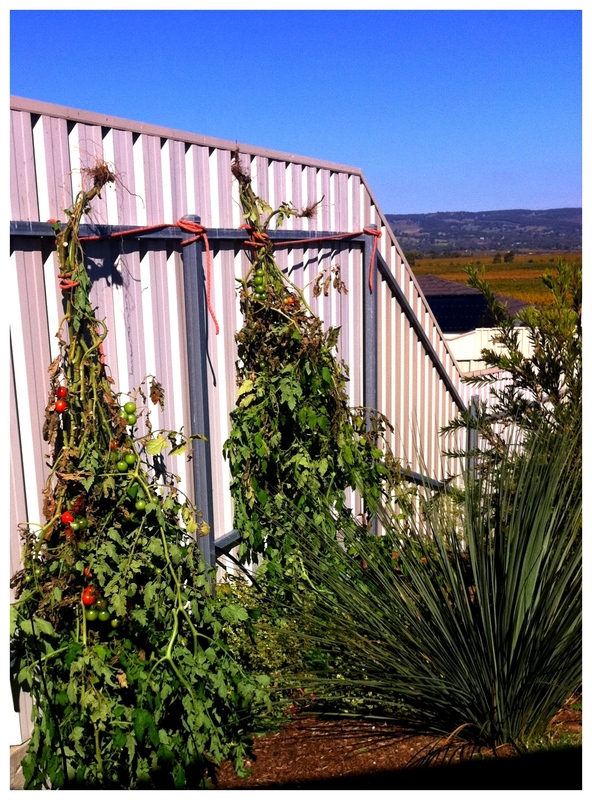 I decided to see if there were any other methods for ripening tomatoes and found this article suggesting that you can pull up the bushes and hang them upside down to ripen the green ones. I’ve heard of planting tomatoes to grow upside down, but had never considered you could ripen them this way too. The advantage is that all the nutrient in the branches and leaves is apparently put into the tomato fruit and you get the same juicy fruits as you would have, had you been the middle of the sunny blue-skied growing season.Add to this that Richard had to pull my tomatoes out to make way for a wood store, and I decided that trying out the hanging method made lots of sense this year. We just hung them against the fence, in a position of fuller sun than they had been when in the ground. You could put them somewhere more sheltered out of the rain. And…it works! In the one week that ours have been hanging, they are ripening daily and there’s a steady daily supply. After a week, I pruned back some of the dying branches today to let more sun in and help the plant put it’s energy into the remaining tomatoes. I’m actually really impressed with the concept of doing this because it seems such a waste of a plant’s energy, to just rip up tomatoes bushes at the end of the season. Sometimes you have to do to make space for your winter crops, or in our case, a wood store. If we hadn’t moved them into the sun the unripened ones would have just rotted on the vine as the winter came in. This will definitely be an end-of-summer routine task from now on. Hey there. Great to see you have tried out this method and had great success too. It is also part of my autumn ritual. 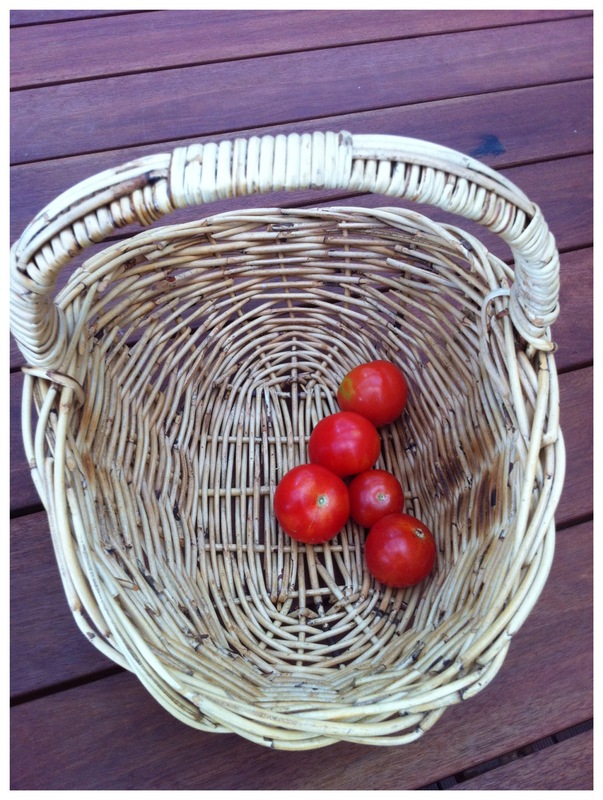 Keep enjoying those tomatoes and happy blogging!